Are you unable to see images or the newsletter in its entirety? Email not displaying correctly? View this email in your browser. A place for the spirit, a place for community, a place for the arts, a place to begin your life's journey, a place where all of God's children are welcome, a place for you. In United Methodist Churches, this Sunday is the One Great Hour of Sharing Offering. This offering supports the administration and operating expenses for the United Methodist Committee on Relief (UMCOR). UMCOR is our church’s front line response organization in the face of critical situations in our nation and around the world. Included in your bulletin this Sunday will be a special envelope, with the hope that you will return it with your generous gift to support this important mission. 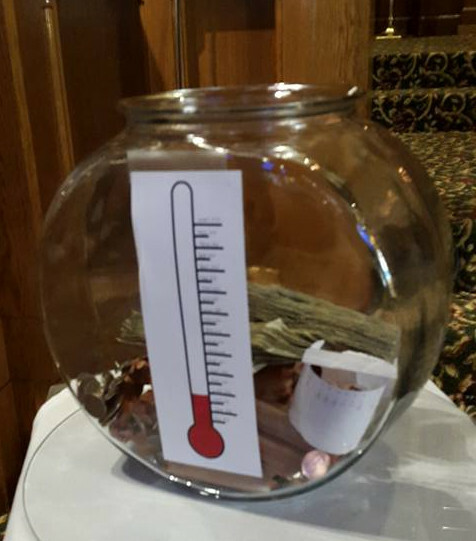 Sundays during Lent following the Children’s Sermon, the children of Calvary have been collection spare change and bills for the summer lunch program to make sure that children in our community have a hot meal every weekday during the summer months when they are not in school. So far, $363.50 has been collected towards our goal of $1000! Thank you everyone for your donations!! When disaster strikes, anywhere in the world, victims need immediate help and support. Physical injuries must be addressed; shelter, food, and clothing need to be acquired; health supplies and educational resources must be provided. And, all of it as quickly as possible. The United Methodist Church, through the UM Committee on Relief, stands ready to respond because our members work to be prepared! In New Wilmington, PA, at the Mission Barn, supplies are stocked, ready for immediate shipment to areas of need. Each year at June’s Annual Conference Session we gather kits to stock the Barn. You can help this process by taking the time to purchase the components and packing a Health Kit, School Kit, or another of those needed. Links to instructions for the kits are listed below. Bring your kits to church and we will see that they are moved to the Conference. Some people focus on what to give up for Lent. We challenge you to add something to your faith experience during Lent. 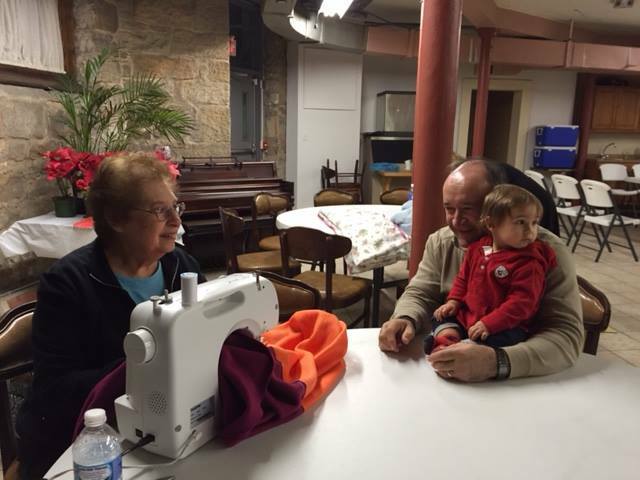 Help UMCOR respond to the needs of others. UMCOR is currently at capacity with Birthing Kits. Health and School Kits need to be restocked most urgently. 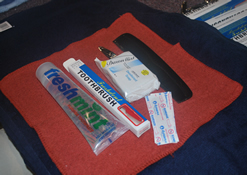 Bedding Kit - The supplies in the Bedding Kit provide an important source of comfort for displaced persons. Birthing Kit - Birthing kits provide the essential items to promote a safe, clean delivery and to encourage good aftercare. Cleaning Bucket - These supplies enable people to begin the overwhelming job of cleaning up after a flood or hurricane. Health Kit - Health kits provide basic necessities to people who have been forced to leave their homes because of human conflict or natural disaster. Health kits are also used as learning tools in personal hygiene, literacy, nutrition and cooking classes. Layette Kit - Many women do not have swaddling clothes with which to welcome their child into the world. Layette kits provide basic supplies for their baby's needs. School Bag Instructions - How to properly make a school bag for a school kit. School Kit - In some countries, children don't have books or school supplies. Many have no schoolrooms; classes are held in inadequate or half-destroyed buildings, tents, or even the open air. 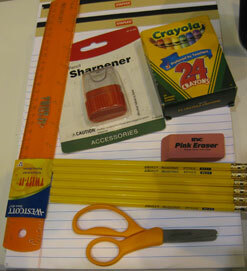 School kits may be these children's only educational resources. Sewing Kit - Sewing kits foster independence rather than dependence. Women can make clothing in their own size and in the style of their culture. Cottage industries often grow out of the sewing classes where women use these kits to practice valuable income-generating skills. 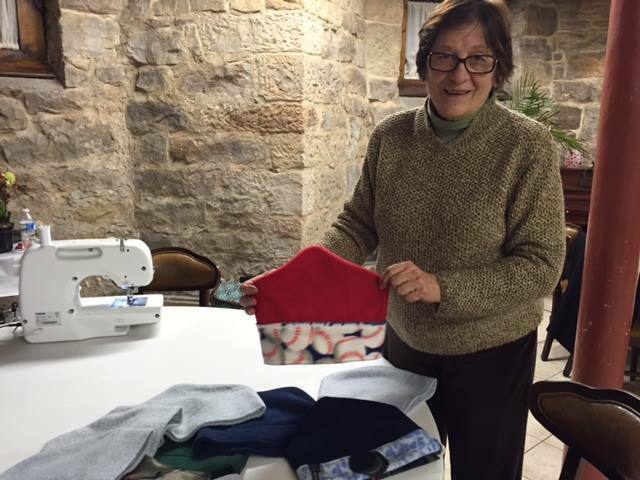 The Daily Bread at New Hope is in need of winter clothing for those that they provide meals to. If you have a winter coat that you don’t use, please bring it in to Calvary so that it can be given to someone in need of its warmth. Also, there is a need for socks, gloves, hats, boxer shorts, and t-shirts (sizes large and XL). Any donations are greatly appreciated. See Doug Lucas or call the church office for details. 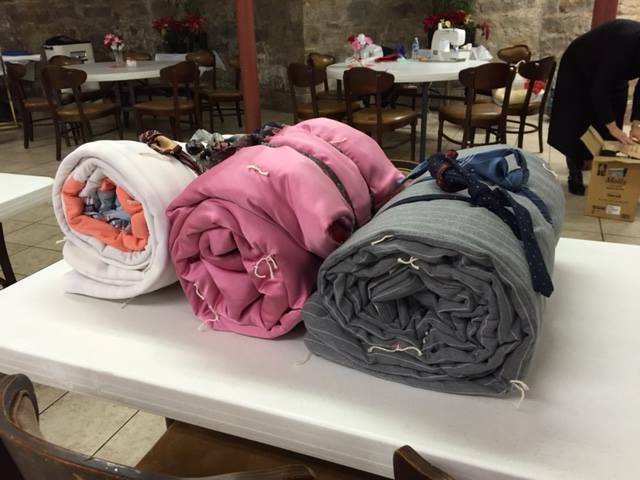 We are in need of old blankets that can be recycled into sleeping bags for the homeless. Please consider donating old blankets to our project. Please see Lynn Sevick if you have any questions. Thank You, Sleeping Bag Ministry! 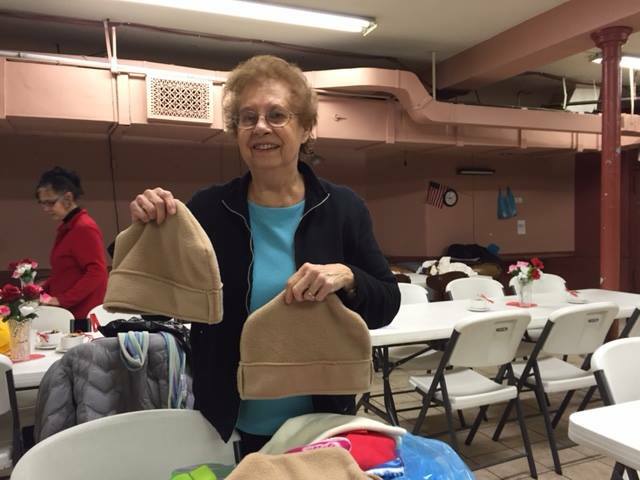 The Sleeping Bag Ministry donated 12 cozy sleeping bags as well as several hats to Light of Life during the month of January. The group that makes the quilts for the homeless is looking for persons who are able to crochet. There are directions for using the plastic grocery bags to crochet a plastic mat which keeps the quilts off the ground keeping the quilt drier. 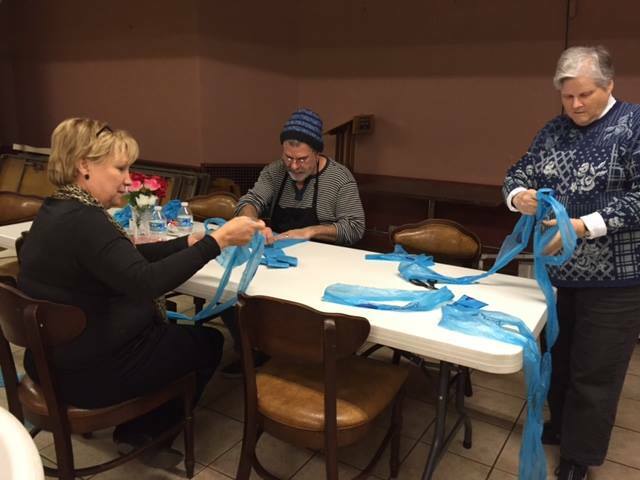 There are already rolls of “plastic yarn” ready to be used and needles are available. If you can crochet or want to learn please contact Joan Bradley. We would love to give a plastic mat with every quilt but are in desperate need of persons who crochet. You will need approximately 500 plastic grocery bags for each mat. You will need a crochet hook, size M or larger. Finished size is 24 X 72 inches. rest through to attach (remember how you strung rubber bands together as a child?). balls out of it then repeat until I run out of bags. 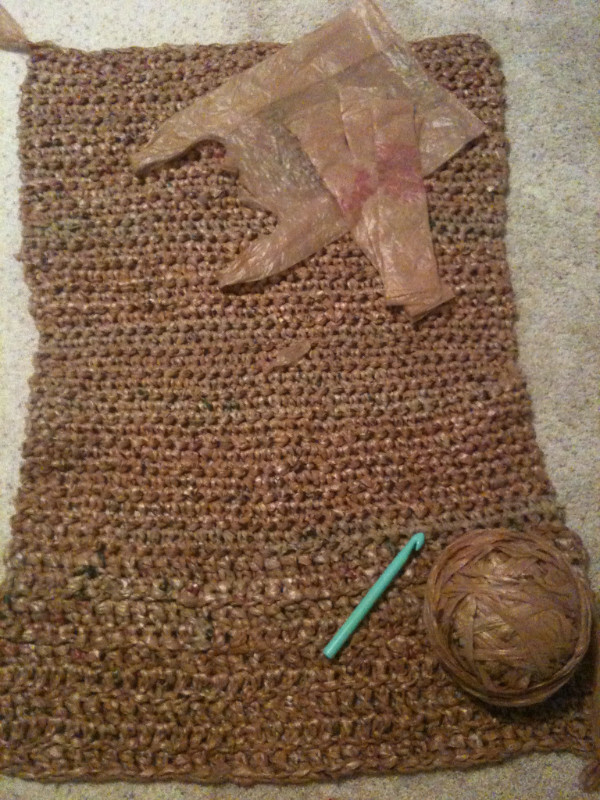 TO MAKE THE MAT chain 72 inches using the doubled looped strands of grocery bags. Single crochet until the mat is 24 inches wide. long enough to cross your back, go over your shoulder and reach the other end of the mat. Chain an additional length equal to the first loop and attach with a single crochet. online for viewing. Just google “sleeping mats for the homeless”. The picture below is an example of a crocheted sleep mat being made by Calvary's Sleeping Bag Ministry. Below that is an example of what a finished mat will look like. This informal gathering is an opportunity for us to get to know each other and share more about our United Methodist Heritage and Calvary’s Ministries today! A light meal will be served. Calvary will be receiving new members on March 20 during Worship Service. 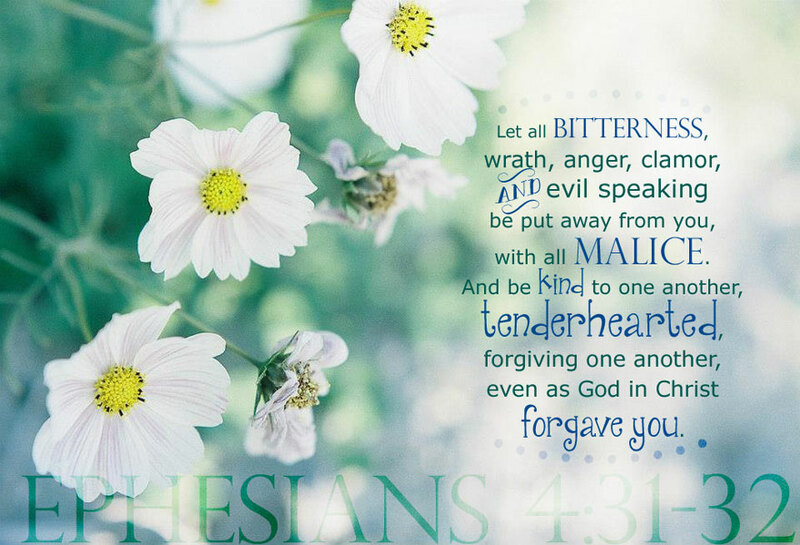 We would love for you to join our congregation! Please RSVP for either date by calling 412.231.2007 or emailing calvaryumcpgh@gmail.com. There will also be a form in Sunday's bulletin that you can complete and place in the collection basket. Meetings will now be held the 2nd Thursday of each month rather than the 4th Thursday. Committees will meet from 5:30-6:30pm unless another day and time has been previously discussed. Dinner begins at 6:00pm with committees continuing to meet thru dinner if necessary. The Church Council Meeting begins at 6:30pm. There will not be meetings in either July or December. The next scheduled combined meeting is Thursday, March 10. The bible study with Rev. Ellie from 7:00-8:30pm in the Calvary Parlor is cancelled this week on Thursday, March 10 due to the new schedule for Church Council and Committee Meetings. The bible study schedule will resume as usual on Thursday, March 17. We are in need of sponsors for January. For only $70 you, or a group, can provide a light lunch to the people you worship with. Sponsors are responsible for serving the meal and cleaning up the Fellowship Hall and kitchen once the meal is over. The total sponsorship cost is $70. A group can divide the cost among themselves anyway they choose. If you, or a group, would like to sponsor a fellowship luncheon, the below forms are available next to the Sunday bulletin for you to fill out. Once you have completed the reverse side of the form with all of the required information, please place the form along with the $70 in an offering envelope. You can then place the envelope in the offering plate. You can also email the required information on the below form to calvaryumcpgh@gmail.com and instructions on sponsorship payment will be emailed to you. Once the church office receives your sponsorship form, either Doug Lucas or Mike Schnitgen will then contact you with the date of the Sunday that you or your group are to sponsor. Special dietary requests can be discussed at that time. The Calvary UMC Newsletter is distributed twice a month. The first, more detailed, newsletter is sent out at the beginning of each month. The second newsletter is sent out around the middle of the month and contains only the Church Calendar so that you can stay current on everything that is happening at Calvary. If you have something that you would like to be highlighted or printed in an upcoming newsletter please see Karen Ferguson or email her at karen.ferguson.15202@gmail.com. The Renewal Choir sings traditional anthems on Sunday mornings as well as supporting Calvary special events and observances. The group presents a wide variety of musical styles from September through May. Choir members actively participate in worship and may be found assisting during such times as Communion, Advent and special services. See Brian Burns for more details or if you are interested in joining. Join us as we study “24 Hours That Changed the World". We invite you to experience and understand the significance of Jesus’ final hours. Join us as we study "Covenant" which is an in-depth group bible study in which people read and discuss the Bible together. The multiple week program discusses books from both testaments-showcasing the interconnectedness of scripture as a whole while demonstrating how the covenant relationship between God and people is woven through the entire Bible. Each session includes a thought-provoking video conversation between biblical scholars that serves as an impetus for further discussion and contemplation among the group members. The belief that it is through conversation together-through community-that we can best discover the Bible’s transformative power. We are planning to have a number of guests from other faiths sharing our common heritage of the Old Testament. Michelle Edwards Newberry – final stages of M.S. Sara Casey – cancer and M.S. The Clark Family – Renny’s nephew, Greg, is recovering at home. Bing and Mary Ewalt giving thanks to God and everyone for their prayers after Bing’s hip surgery. Bing is doing well. Let us know how we can pray for you. Please contact Rev. Ellie Laws by emailing the Calvary Church Office at calvaryumcpgh@gmail.com or by calling 412.231.2007. Sunday School is offered for children. Fellowship with a light lunch follows worship every Sunday. Communion is held the first Sunday of each month. 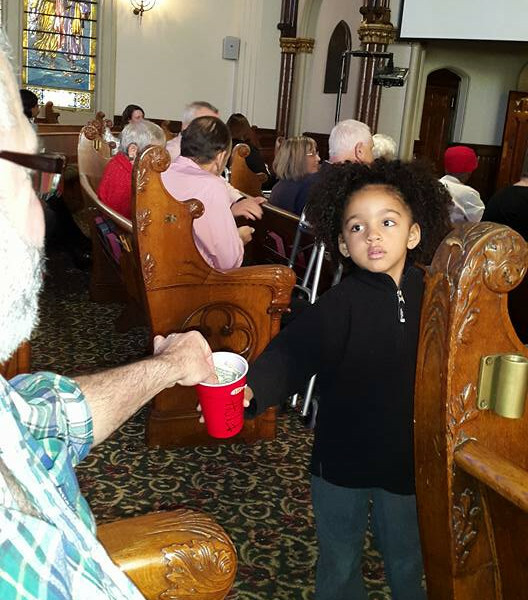 Everyone is welcome at Calvary's table. The Calvary United Methodist Women will be meeting at the church this month. After a brief business meeting, Ellen Homitsky will lead us in an activity - making Ukrainian Easter Eggs. All are welcome and we'd love to see some new participants! This informal gathering is an opportunity for us to get to know each other and share more about our United Methodist Heritage and Calvary’s Ministries today! A light meal will be served. Calvary will be receiving new members on March 20 during Worship Service. We would love for you to join our congregation! Please RSVP for either date by calling 412.231.2007 or emailing calvaryumcpgh@gmail.com. There will also be a form in Sunday's bulletin that you can complete and place in the collection basket. Calvary sponsors The Daily Bread at New Hope every 2nd Thursday of each and every month. If you are interested in helping physically or financially please let us know. It can be a group project or an individual donation of time; we are always looking for help. If you are interested in helping please call Audrey Jennings at 412.335.3559 or email her at audreyjennings037@yahoo.com. These meetings are held the 2nd Thursday of each month. Committees will meet from 5:30-6:30pm unless another day and time has been previously discussed. Dinner begins at 6:00pm with committees continuing to meet thru dinner if necessary. The Church Council Meeting begins at 6:30pm. There will not be meetings in either July or December. The Trustees meet the 2nd Sunday of each month. 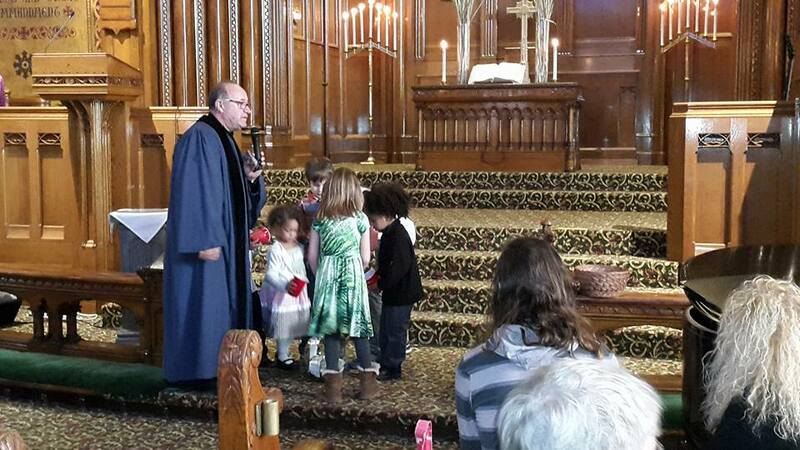 Calvary will be receiving new members on March 20 during Worship Service. The Finance Committee meets the 3rd Sunday of each month. Please come and join us! All women are welcome! We are looking forward to all of the amazing things that we can accomplish as a group. This truly is an exciting time at Calvary. On Saturday, April 23 from 4:30-7:00pm at the Northmont Presbyterian Church, NCM will be holding its annual Spaghetti Dinner to raise money for their ministries which includes the Northside Community Food Pantry. Volunteers are needed for setup on Friday from 4:00-6:00pm and on Saturday to help serve from 2:30-5:00pm or 5:00-7:00pm. Also, desserts are needed for approximately 50 people. Please contact Linda Ehrlich if you are able to help at laehrlich927@aol.com or 412.321.2503. Lace up those walking shoes! Help raise money for the Northside Community Food Pantry at the “Highmark Walk for a Healthy Community”. Every dollar raised goes to helping keep the food pantry for our neighbors in need. You can start raising money now - it's easy! Go to http://hcf.convio.net/site/TR?fr_id=1892&pg=entry then join the Northside Common Ministries Team under Goodwill. We hope to see you there! See Linda Ehrlich with any questions. There will not be meetings in July. The normal schedule will resume in August. There will not be meetings in December. The normal schedule will resume in January 2017. This is a read-only calendar. If you see something that is incorrect, please notify Karen Ferguson (724.448.1429 or karen.ferguson.15202@gmail.com) and she will correct it as soon as possible. Entrance is on the Beech Avenue side. Handicapped entrance is in rear of building. Email not displaying correctly? View this email in your browser. Copyright © 2016 Calvary United Methodist Church, All rights reserved.